Sarasota Florida Real Estate - Beaches and Golf by Day, Culture and Fine Dining by Night! When people come to the Sarasota area from all over the world, they appreciate the small town feel with the amenities of a big city. 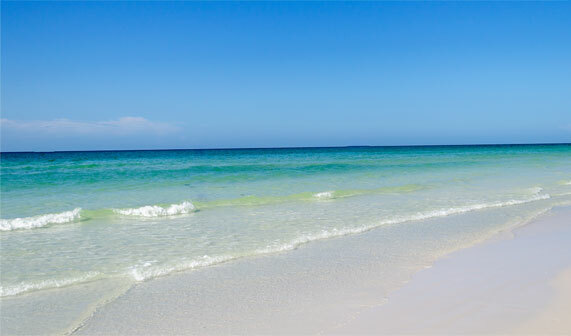 Sure we have one of the top-rated beaches in the USA - Siesta Key - with white sugar sand for miles, but we also have lots of golf, boating, tennis, and State parks. Sarasota also has world class shopping and fine dining! Known as Florida's Cultural Coastal Center, Sarasota has several performing arts theatres, orchestra, ballet, opera, jazz, museums for art, history, and classic cars, archeological sites, and the Sarasota Film Festival. We have boat races, art and craft festivals, and entertainment for all ages. I like to call it - "Saradise!" Come and see for yourselves, and when you feel it should be your next home, call me to help make that happen! Licensed Real Estate Salesperson over 15 years. Member of National Association of Realtors; Florida Association of Realtors; Sarasota Association of Realtors; Background - Rick - Certified by HUD for Fair Housing; Over 40 years in Insurance specializing in property - residential - homes, condos, and flood insurance. Rick knows the area well & his Engineering background from Ohio State University & Insurance enables him to analyze property strengths & weaknesses. Rick has worked with Habitat for Humanity which brought him closer to both home construction & the community that needs housing. Gallon Donor with the Sarasota Blood Bank, Founding Member of the National Campaign for Tolerance. Team GreeneLands Background - Debbie - Previously a licensed insurance agent and Realtor, Debbie also has over 20 years experience in jewelry & antiques. She also established & operated baking business supplying fine baked foods & desserts to markets & restaurants. Rick - Selected Sarasota Magazine 5 STAR Best in Client Satisfaction each year from 2007 through 2015. Well Versed in the Essentials of International Real Estate; Certified Resort and Second-home Property Specialist (RSPS); Certified Home Marketing Specialist (CHMS); Certified Short Sales and Foreclosure Resource (SFR); Certified Legal Training in Residential Landlord and Tenant Law; Certified New Home Sales Professional; At Home With Diversity (AHWD); Certified FHA 203K Specialist for Construction and Rehab Loans; Licensed Insurance Agent for over 40 years - Property & Casualty, Life & Health, has been an Accredited Advisor of Insurance (AAI) and owned his own insurance agency for over 25 years. Graduate of Ohio State University - BS Degree in Natural Resources - experience in pollution control engineering. Ask me what my designations can do for you! Team GreeneLands is here to help you. You have a home and want to sell it, or you want to find a home or condo and buy it.